Beautiful 4 bedroom 4 bath home with double car garage in Fernbrook's Seven Oaks community features 2,963 sq ft above grade plus an unfinished lower level waiting to be customized to suit your family's unique lifestyle. Great open concept floor plan, 10-foot smooth ceilings on main level, 9-foot ceilings on second level and up to 9-foot ceilings in lower level. Oak hardwood flooring throughout and oak staircase with iron spindles. The generous sized dining room opens to the great room featuring a fabulous cast stone gas fire place and a full wall of large windows across the back of the home which flood the home with sunshine. Executive home situated on a quiet, family friendly street backing onto greenspace. A nicely flowing open concept design offers well maintained hardwood floors with matching stained oak curved staircase which flows seamlessly into the living room/dining room. 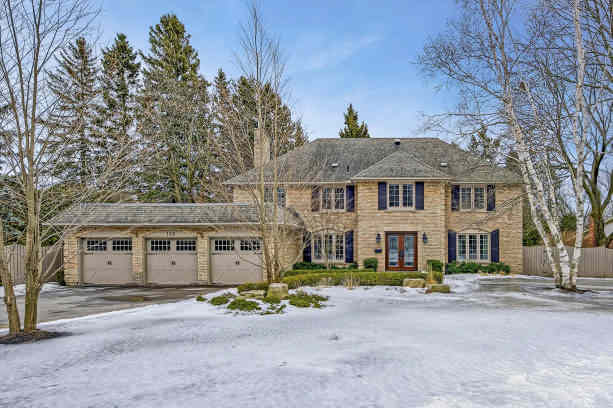 The spacious family room with gas fireplace is located off the large bright eat-in kitchen with walkout to a large deck overlooking the private rear yard. Enjoy entertaining in the generous kitchen with stainless steel quality appliances, pendant lighting and pantry cupboards. 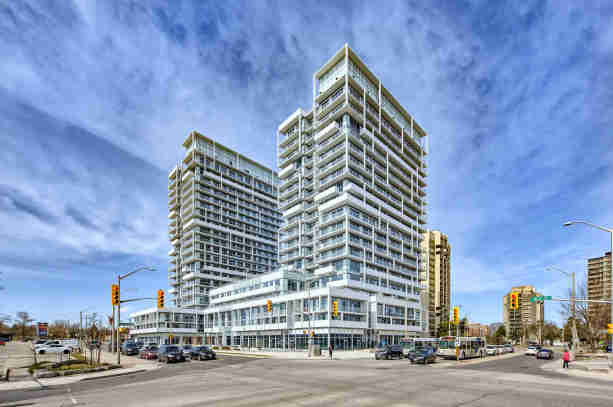 Penthouse condo with beautiful city and lake views in the heart of Kerr Village. This two bedroom condo features 10 foot ceilings in 1,170 square feet of perfectly designed and thoughtfully planned living space. Modern finishes throughout. The traditional foyer provides you with plenty of space to welcome your guests. The spacious kitchen features granite counters, undermount sink and stainless steel appliances. An oversized peninsula allows for bar stool seating. Large living room area and separate dining space complete with custom window coverings for privacy. 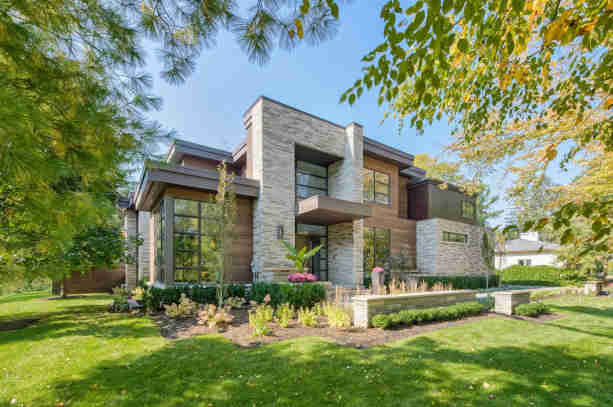 Floor to ceiling windows along with a large wrap around balcony provides plenty of outdoor space with a lovely south east exposure and views of Lake Ontario. A seamless blend of old world charm and new style, this architectural gem mixes traditional style with forward thinking lifestyle design. The warmth of a wrap around porch and the white picket dream gives the style and grace of what’s to follow. 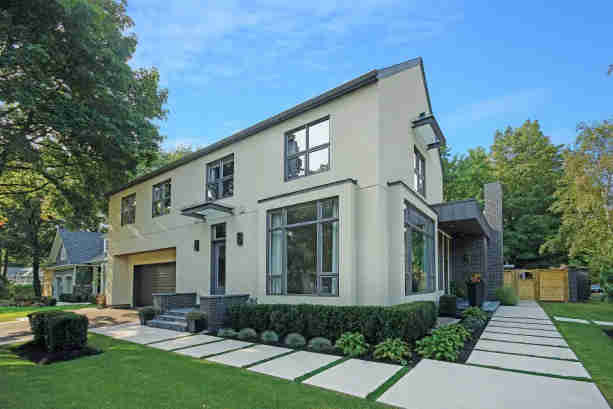 This picture perfect neighbourhood is coveted due to its ideal proximity to the downtown core and it’s mature private tree lined streets. 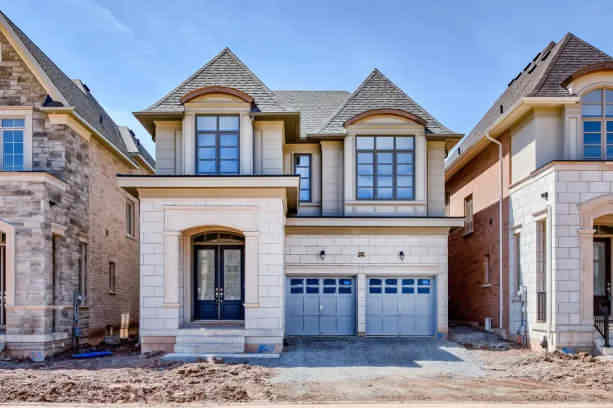 Brand new, never lived-in 4 bedroom Fernbrook-built family home on ravine. The Walton model is just over 3,500 square feet. Hardwood throughout both levels. Attractive stone and stucco exterior. AYA kitchen cabinetry. 10" ceilings on main. Loads of pot lights. Oak staircase with wrought iron pickets. Second floor laundry. Great room with box tray ceiling and gas fireplace. Mudroom has walk-in closet. Double garage. Tarion warranty. Near schools, shopping, parks and major routes. Tastefully renovated and located at the end of a quiet court in Morrison. With over 3,000 square feet of living space on the top two floors, this five bedroom home boasts an open concept floor plan with easy transitions between each room. The bright open concept, eat-in kitchen features granite countertops and top of the line appliances all while overlooking the mature rear garden. The family room has near wall-to-wall windows with cute window bench – a perfect reading nook! A classic living room connected to the dining room is perfect for those who love to entertain. Thoughtfully placed built-in cabinetry throughout the main floor adds a custom element. A main floor office, convenient large mudroom and powder room complete the main floor.